The rain poured virtually non-stop on the day of the Good Bazaar of the Trenčín Foundation. A sudden gale almost blew away our tent. Most of the things got soaked by the rain... and yet, the volunteers and the visitors were in a good humour. As for the seven previous years, the volunteers were selling items, the passers-by were purchasing things, everyone laughed and talked. Nothing could sour the good atmosphere for the twenty seven volunteers and guests of the Trenčín Foundation. 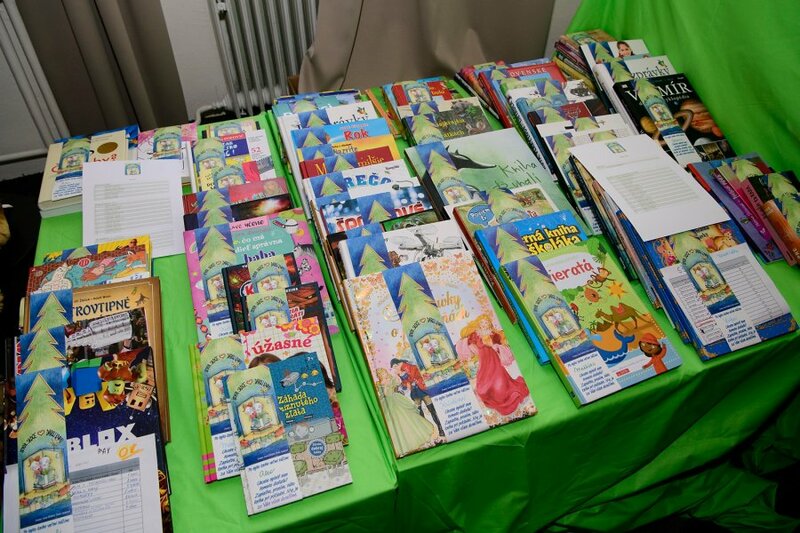 On18th December, we met with the children in the Public Library of Michal Rešetka in Trenčín. Smiling faces and curiosity accompanied handing out of the children´s books. Co-hosting the pre-Christmas event were the girls from the private school on the Novomestská street Nikoleta Mišáková, Alžbeta Malanová and Dominika Sabová, who performed a short scene from the Hogwarts library. Each year, this pre-Christmas project is dedicated to children form large families, children of single mothers or children from families in need. The project connects the dreams of children with the willingness of adults to help and develops the children´s relationship to reading. Experience shows that the books are not bought just by adults, but also by anonymous younger friends. Good Bazaar begins on 17th December in the offices of the Trenčín Foundation on the second floor of the Hviezda Cinema in Trenčín. From 9am to 5pm, we will be happy to receive donated objects – books, records, DVDs, sporting goods, toys, art, small electronics, home appliances. The sale will then take place on the Peace square in Trenčín on the last Saturday before Christmas, the 22sn December from 10am to 7pm. The fifteenth year of the Donors Club call for proposals aimed at supporting public activities in towns and communities in the municipalities of Trenčín, Ilava and Bánovce nad Bebravou was opened on 5th March 2018. At the meeting in Panorama Club, the members of the Donors Club carefully evaluated the submitted projects. 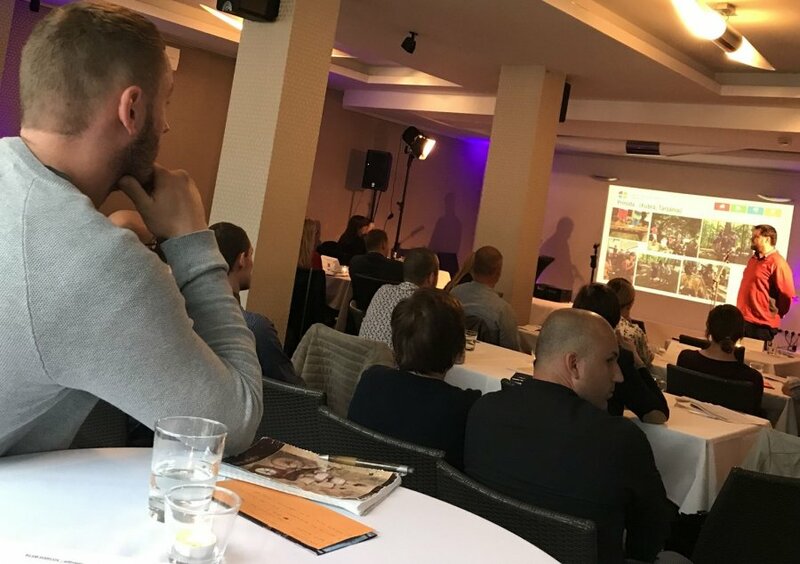 They were primarily interested in the benefits that the projects would bring to the community, public participation, long-term effects and the budget. It was an incredible period of the year. The flood of donations of used objects began on 4th December and it never stopped. On Friday 15th, we sorted the objects out and packed them. Saturday 16th was then spent on the Peace Square selling the donated objects with the Christmas Fair in the full swing. The Good Bazaar will take place 16th December form 10 am. till 6 pm. on the Peace Square in Trenčín. 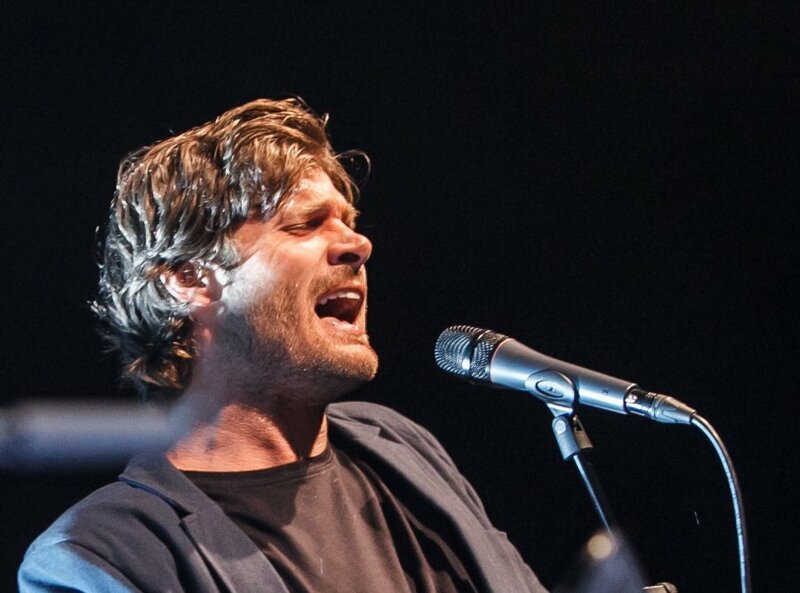 As our guest, we will welcome the musician Michal Kaščák. We will be looking forward to your visit in the offices of the Trenčín Foundation on the second floor of the Hviezda cinema from the 4th December. 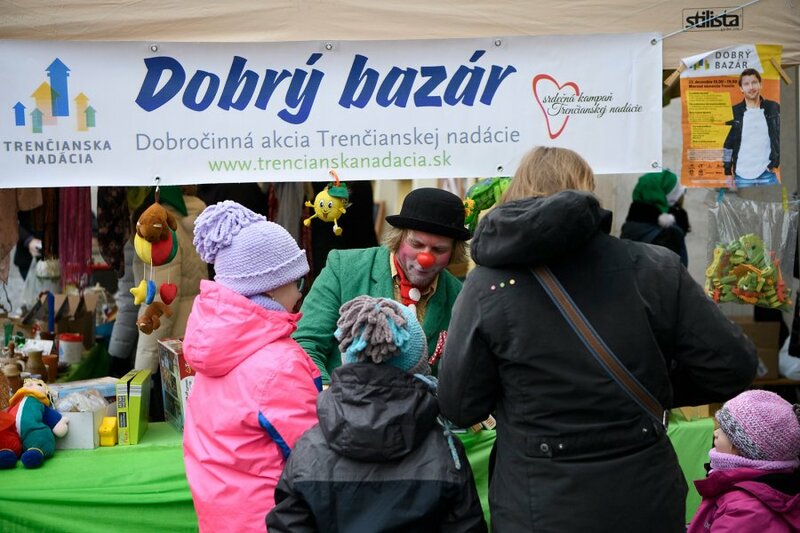 We would once again be happy to accept donated objects designated for sale in the Trenčín Christmas Market. The Trenčín Foundation is finishing the preparation of the thirteenth year of the project. 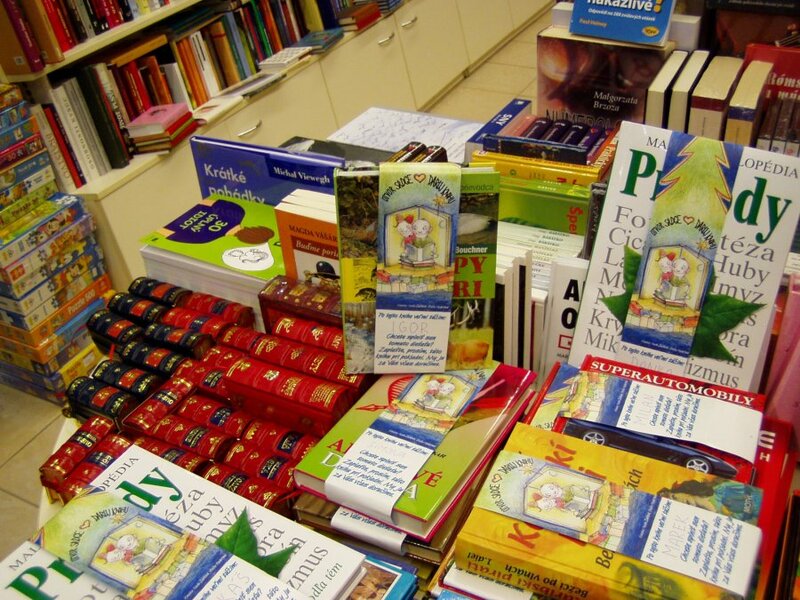 Many citizens with good hearts have become its inseparable parts, as they visit the selected bookstores in Trenčín and search for the familiar corner dedicated to this project. This year, we again give the gifts of books to children from families in temporary or long term social need.